The Perfect Ice Cream Dipping Cabinet. Gets you into the ice cream business fast, easy and for a great price! Holds 14 three gallon tubs - 8 on top and 6 in storage. The sneeze-guard, sliding glass lids and the 3 gallon tub holders are included. FREE SHIPPING. Best warranty in the business: 5 years on compressor, 1 year parts and labor. 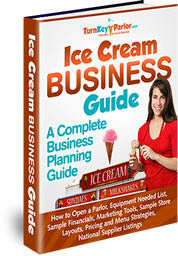 Check out our FREE Ice Cream Business guide to help you decide which set-up is right for you! Best Warranty in the business - 5 years on compressor, 1 year on parts and labor.